-Write given information in the correct column of the table. 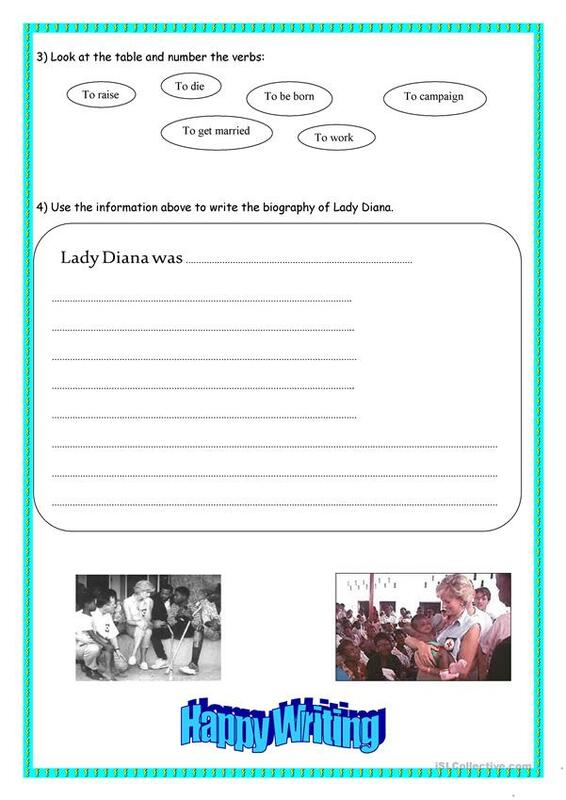 -Use the information in the table to write the biography of Lady Diana. 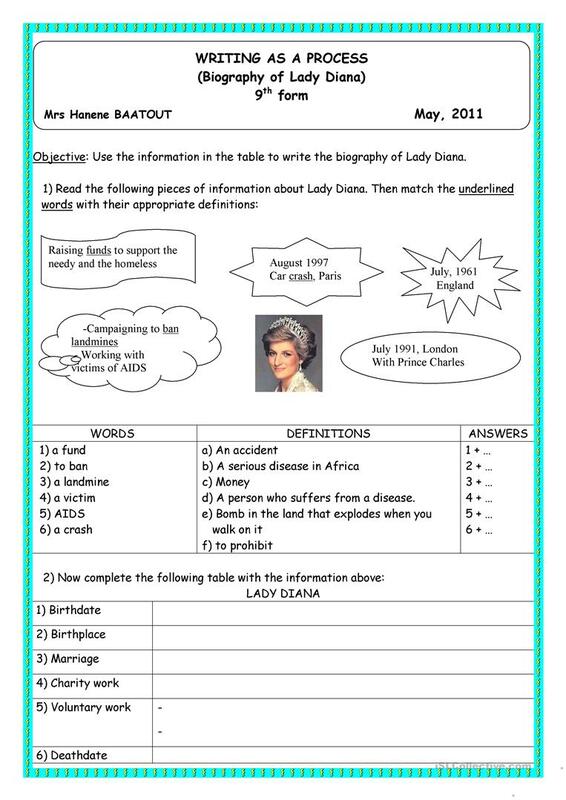 The above downloadable printable is meant for high school students at Pre-intermediate (A2) level. It was designed for strengthening your pupils' Writing skills.